In our appliance team, we install, service, and repair washing machine and dryer units. Our company offers services in Long Beach, California, and can help local residents in no time. Depend on us when your washer is leaking water! Call us if you need urgent washer & dryer service! And count on our assistance whether you want to maintain, fix, or install a laundry machine. Whenever you are in need of professional washing machine repair in Long Beach, we are the pros to help you effectively. 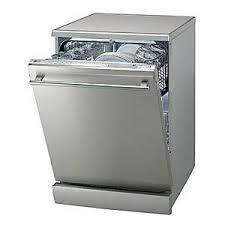 Our company, Appliance Repair Long Beach, guarantees fast response services. When there are washer problems, there is a lot of frustration. There is nothing like with dirty clothing piling up. And then there is a possibility of even more urgent problems. Let’s say you have a combination dryer and washing machine unit! When the dryer doesn’t work, chances are it’s filled with lint. This might stop the appliance from working but might also cause a fire. So you need to rely on our dryer and washer service regularly. Our washing machine technician responds in a timely fashion. We fix such problems fast. With our vans filled with replacement parts and our expertise, troubleshooting is done fast and our diagnosis is accurate. And so your appliance is fixed in a jiffy. When you rely on our experts, every service is performed and completed correctly. So do get in touch with our company if you want washer installation. Let our pros install your new unit no matter of its brand, type, size, or model. With up to date know how and full commitment to your needs, our pros can cover all your washing machine repair Long Beach needs efficiently.